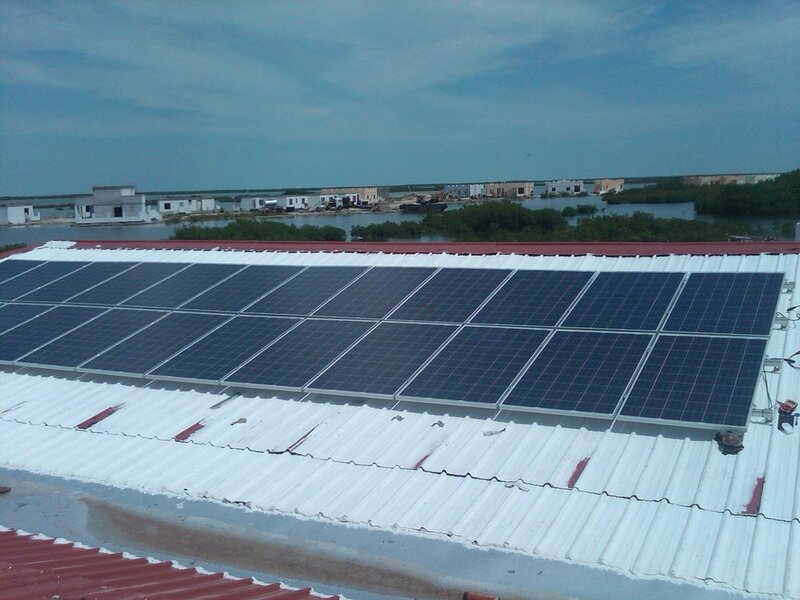 Phase one of the project commenced in May, 2011 with on-site preparations and assessments for the installation of the solar panels. By September, 2011, a 24-panel solar array had been installed and is providing approximately 500 kilowatt hours of energy per month. But the foundation was not done, as the ultimate goal is for HCAS to be completely energy efficient. 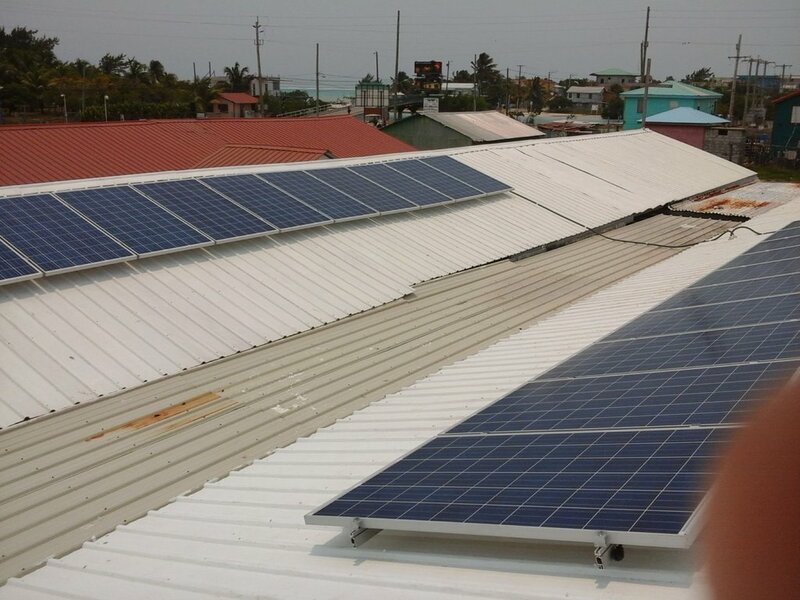 Work soon began on phase two of the project, which involvedincreasing the capacity of the present system, minimizing power loss for the school and encouraging Belize Electricity Limited to buy back power that is being generated but not used. “In order to commence Phase Two, we held several surveys to see if the first phase was a success. The surveys revealed that on average, the array seems to be making a 20- 30% reduction in monthly billing costs against the meter. This was a positive sign so we decided to begin the next phase,” said McHenry. “The initially installed 24-panel 5-kilowatt array provided a savings equivalent of about $3,000USD per year, money that is being used to support our feeding program,” said McHenry. 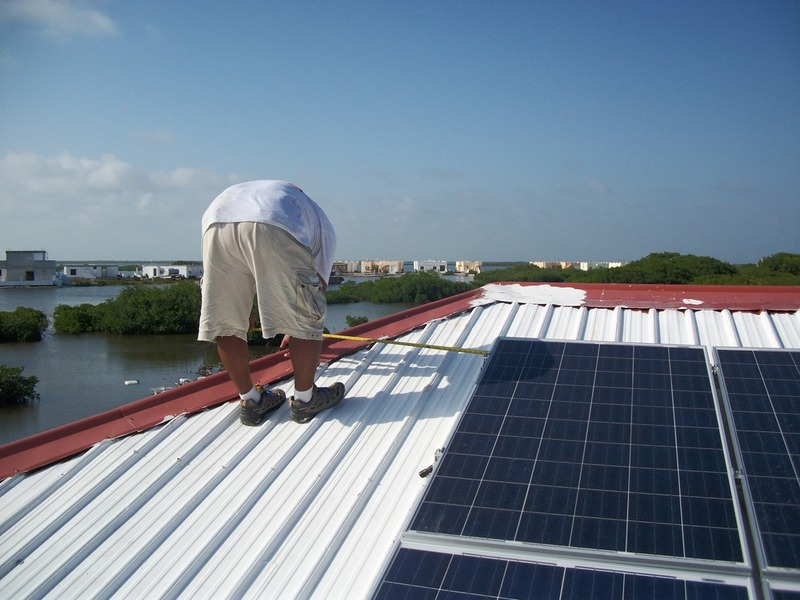 Fundraising efforts for the installation for the second 24-panel solar array began in April, 2013. Phase two was officially completed on May 5, 2014. HCAS is now equipped with two sets of 24-panelssolar arrays providing 10 kilowatts of power. 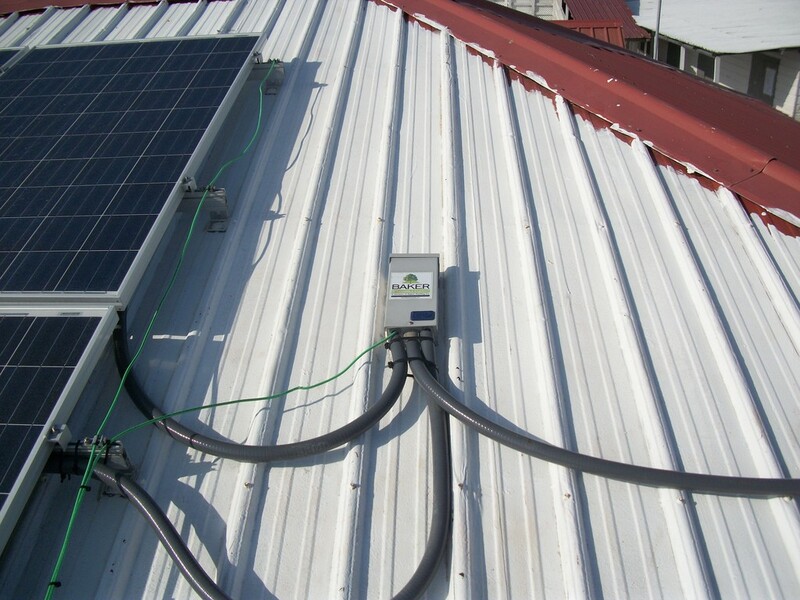 “We were very pleased that independent review re-affirmed that our plans to provide a farm generating at least 20 kilowatts using panel micro-inverters and net-metering was the best possible for our location. This means that we will be undertaking at least two more phases of the project to grow the farm from 10 kilowatts to at least 20 kilowatts, hopefully in the next couple of years,” said McHenry. The estimated total cost of the project so far is over $60,000US. Phase three and four of the project is estimated to cost an additional $70,000US. The Holy Cross Education Foundation believes that the installation of these solar panels will benefit the quality of education offered to their students by bringing down the school operating costs, while also making a difference towars the environment. To learn more about the project or to make a donation visit www.globalgiving.org/projects/electricity-to-500-students-in-belize/. Red Ginger reopens November 4th! !